Collection of Creative and Cool Lemon Squeezers from all over the world for your kitchen. Rosendahl Lemon Squeezer: With a simple twist, this lemon squeezer can serve juice directly from the fruit. 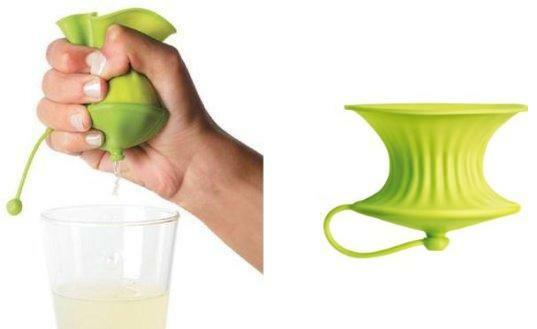 Mysqueeze Citrus Squeezer: Roland Kreiter designed this citrus squeezer that can be used directly in your hand. 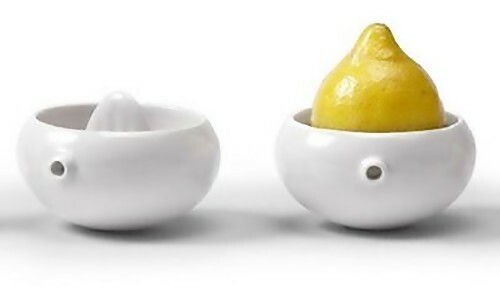 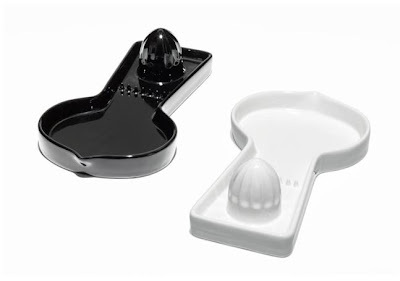 Tonfisk Lemon Squeezer: Designed by Susanna Hoikkala & Jenni Ojala, the Tonfisk lemon squeezer is a ceramic bowl that features a raised ridge on which to grind your lemon. 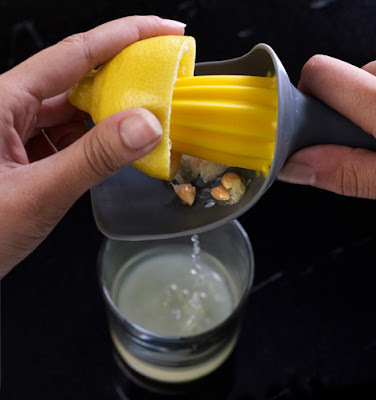 Catcher: It's designed to remove any unwanted fruit pulp using a soft rubber cup underneath the reaming head. Squeeze-Me: Its designed by Jaime & M Antoniades. 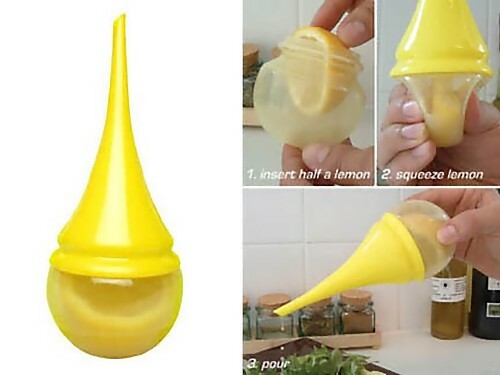 All you need to do is to put the lemon inside the squeeze-me and then squeeze it; lemon juice comes out at the end. Industrial-Strength Lemon Squeezer: Designed by Edward Horsford, it uses the traditional way to get juice. 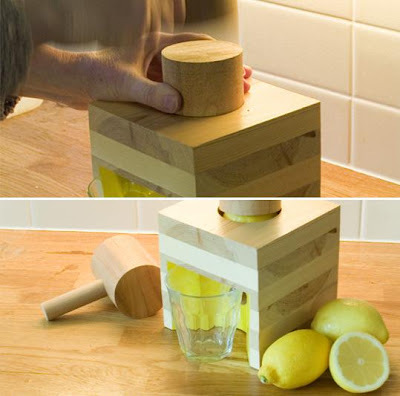 Lekue Lemon Squeezer: All you need to do is just cut your lemon in half, place the half into the squeezer and squeeze. 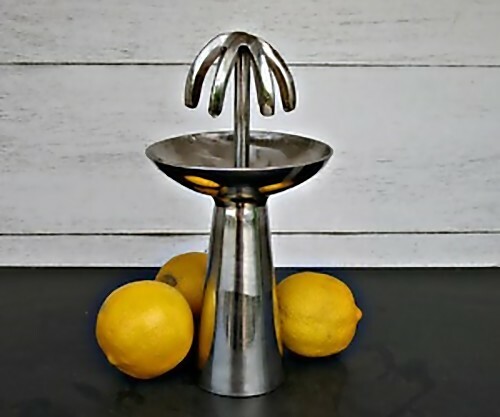 Stainless Lemon Squeezer: Designed by S F Gerald; its made of welded stainless steel and it's 7 inches height overall. 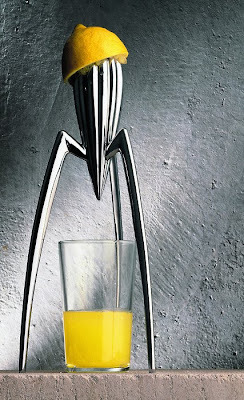 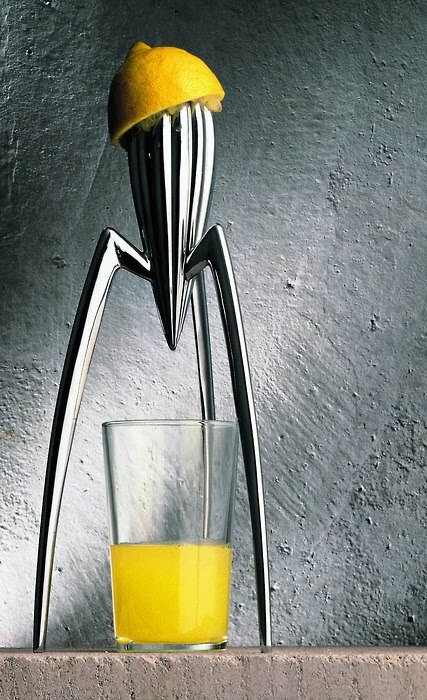 Juicy Salif: It's designed by Philippe Starck for Alessi. 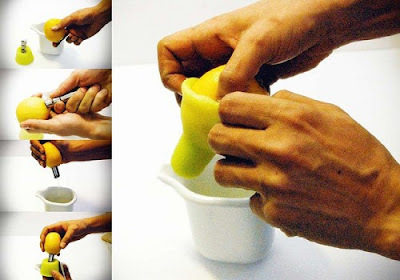 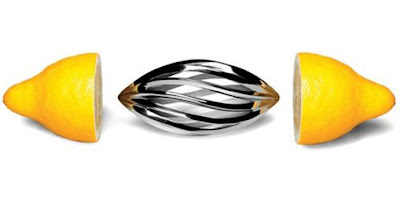 Pandora Design's Squeezer: A cool looking design. 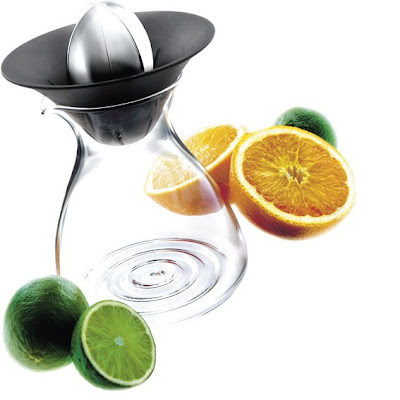 Citrus Squeezer: Slice a lemon in half and rotate it against the juicer's metal top and the plastic funnel filters out the seeds before the pulp rich juice is collected in the glass container. Soft Lemon Squeezer: It does a good job of separating the seeds from the juice. 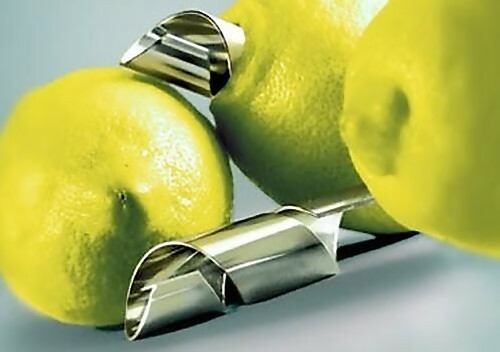 Vincon Lemon Presser: An interesting design shaped lemon squeezer. Twist + Cap: 'Twist + Cap' by DaeKyung Ahn, G Fusari and N Reddall has a soft cap that can be rolled over the fruit to keep it fresh after extracting the required amount of juice.